An herbal practitioner and educator for over 30 years, Cascade was on the faculty of three naturopathic colleges in the US and has lectured widely throughout North America.She taught classes and led herb walks all around the world and near her home in Portland, Oregon. She was a cherished speaker at our events for twenty years until she passed into the light in May, 2013. She is sorely missed. Speaker: Cascade Anderson Geller. Learn how to filter the oils made the previous day and prepare a s..
Speaker: Cascade Anderson Geller. Learn how to harvest plants with therapeutic properties from the h..
Speaker: Cascade Anderson Geller. An antiseptic is a substance capable of preventing infe..
Speaker: Cascade Anderson Geller. This class features herbs and other natural remedies that can help..
Speaker: Cascade Anderson Geller. Remedies for Parasites..
Speaker: Cascade Anderson Geller. Poultices, Plasters and Fomentations..
Speaker: Cascade Anderson Geller. Herbs, in the right dose and form, are important tools for pain ma..
Speaker: Cascade Anderson Geller. The richly pigmented plants yield constituents that are effec..
Speaker: Cascade Anderson Geller. Vulneraries: Natural Care for Wounds..
Speaker: Cascade Anderson Geller. The best cleansing agents, styptics, antiseptics and herbal bandag..
Speaker: Cascade Anderson Geller. When to add an adjuvant (assistant) herb to a formula and whi..
Speaker: Cascade Anderson Geller. When to add an adjuvant (assistant) herb to a formula and which on..
Speaker: Cascade Anderson Geller. Herb Harvest: Gather, Process and Store your Herbal Bounty..
Speaker: Cascade Anderson Geller. From full to sitz bath, salts, fomentations, compresses, tooth pow..
Speaker: Cascade Anderson Geller. Balancing disinfecting and soothing diuretics, using diuretics for..
Speaker: Cascade Anderson Geller. Our herb gardens often brim with herbs from the Mediterranean basi..
Speaker: Cascade Anderson Geller. Our focus this year is on the plants that beckon to us in the gard..
Speaker: Cascade Anderson Geller. A demonstration class- making poultices, fomentations, packs,..
Speaker: Cascade Anderson Geller. Continued from Part 1 this lecture begins with a discussion of the..
Speaker: Cascade Anderson Geller. Begins with a discussion of the basic constituent groups and their..
Speaker: Cascade Anderson Geller. Weeds like dandelion, yellow dock, chickweed and wintercress..
Speaker: Cascade Anderson Geller. Topical and internal herbal applications for a variety of ski..
Speaker: Cascade Anderson Geller. Continued from Part 1. Medicinal honey and its byproducts (pr..
Speaker: Cascade Anderson Geller. Medicinal honey and its byproducts (propolis, pollen) are ancient ..
Speaker: Cascade Anderson Geller. Nervine herbs can provide support for a variety of conditions..
Speaker: Cascade Anderson Geller. Changes at midlife can affect both sexes, creating opportunities t..
Speaker: Cascade Anderson Geller. Roots have special significance in herbal traditions througho..
Speaker: Cascade Anderson Geller. Continued from Part 1. This class presents herbs, compound remedie..
Speaker: Cascade Anderson Geller. This class presents herbs, compound remedies and lifestyle actions..
Speaker: Cascade-Anderson Geller. Continued from Part 1. The first section of this two pa..
Speaker: Cascade-Anderson Geller. The first section of this two part talk deals with maintainin..
Speaker: Cascade Anderson Geller. This lecture begins with a description of botanical the..
Speaker: Cascade Anderson Geller. This wide ranging talk begins with herbal formulas for f..
Speaker: Cascade Anderson Geller. Herbs used often and with a great deal of success includ..
Speaker: Cascade Anderson Geller. Begins by describing herbal and natural methods for healthy p..
Speaker: Cascade Anderson Geller. 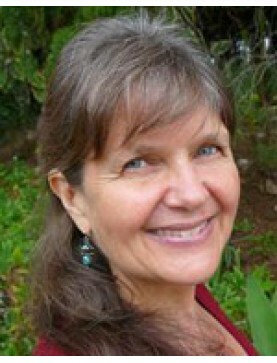 The healing plants and ceremonies of Ecuador are featured in ..
Speaker: Cascade Anderson Geller. A slide show and talk on the herbs used for centuries in the ..
Speaker: Cascade Anderson Geller. Class participation in the preparation and application of was..
Speaker: Cascade Anderson Geller. The art of tea making is described. This presentat..
Speaker: Cascade Anderson Geller. All aspects of lobelia are discussed: constituents, parts use..
Speaker: Cascade Anderson Geller. Covers a basic materia medica for a variety of conditions.&nb..
Speaker: Cascade Anderson Geller. Definitions and directions for preparing some basic herbal th..